The versatile German jazz musician lives and works as an arranger, conductor and composer in Los Angeles; in addition, he is the leader of his own big-band. He does this with great success: he has been nominated six times for Grammy awards and is the proud recipient of a Double-Platinum and several Gold records. Chris Walden has played the trumpet and the piano since his childhood, and was writing arrangements for big-bands whilst still at school. He was a member of the founding generation of the German Bundesjazzorchester (Federal Youth Jazz Orchestra) under Peter Herbolzheimer, but not before Wolfgang Diefenbach had invited him to play with the LandesJugendJazzOrchester Hessen as guest trumpeter. 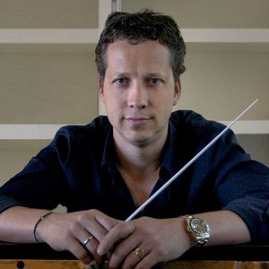 After graduating from the Hochschule für Musik und Tanz, Köln (Cologne College of Music and Dance), he worked as an arranger and guest conductor for almost all the German radio big-bands and radio orchestras. 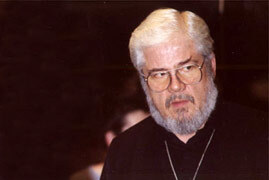 He began by arranging film music, first working on the film Schtonk! as an assistant and arranger for Peter Herbolzheimer, then working on his own to create the soundtracks for a number of German films and TV programmes. His next career step took him straight to Hollywood, where he works intensively composing music for film and TV productions and has already written and arranged for big names including Paul Anka, Michael Bublé, Christina Aguilera, Paul McCartney, George Michael, Diana Krall, Barbra Streisand, George Benson, Stevie Wonder, Aretha Franklin, Natalie Cole, Andrea Bocelli, Michael Brecker, Rod Stewart and David Foster. 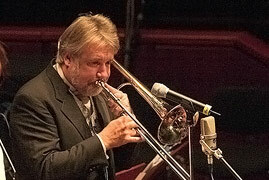 Jiggs Whigham is an outstanding jazz celebrity and is considered to be one of the leading jazz trombonists. Wolfgang Diefenbach and Jiggs Whigham have collaborated since the founding days of Kicks & Sticks. Jiggs Whigham participated in the band’s first workshop session and was a soloist in the first concert, which took place in 1985. In the following years, he appeared as guest soloist at large concert events of Kicks & Sticks on many occasions and was engaged as instructor during orchestra workshop sessions. He also took part in the overwhelming stage appearances at the Sydney Domain Park Jazz Festival. Jiggs Whigham can be heard as soloist in T-Time on the CD Kicks and Sticks. On the live CD Celebration he features in two titles: Buckeye Blues and I’d Be Serious About The Blues, playing on the highest artistic level and giving the titles the benefit of his special artistic quality. 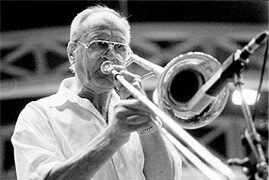 The legendary trombonist Albert Mangelsdorff was the internationally best known and one of the most innovative German jazz musicians. All his life, he took great efforts to support talented young musicians and Kicks & Sticks in particular. For these young musicians, the joint CD productions and live concerts were an immense challenge and at the same time a great encouragement to master his music. Kicks & Sticks together with Albert Mangelsdorff can be heard on the CDs Celebration and Touch of Lips. On the occasion of the band’s tenth anniversary, in 1995, he arranged and played a title of his own, which can be heard, along with other recordings of the gala concert, on the live CD Celebration. His Blues Variations on the CD Touch of Lips, which was produced in 2001, give lasting evidence of his unforgotten dedication to support upcoming young musicians. Bill Ramsey is a very high-profile jazz and blues vocalist. For ten years he worked tirelessly on an honorary basis for Kicks & Sticks, working hard and full of idealism for the benefit of young talented jazz musicians. In 1985 he proclaimed that the band had reached a nearly professional standard after only one workshop session, and in the same year he played as a soloist with the orchestra in its second concert. Bill Ramsey performed with Kicks & Sticks in a variety of ambitious concert events and had the idea for the programme Big Band & Bill – Live Jazz . These live programmes with Kicks & Sticks, Bill Ramsey, Debbie Cameron and Silvia Droste were broadcast on German TV (ZDF and 3Sat). Bill Ramsey also performed as soloist with the band on the CD productions Kicks and Sticks and Celebration. The bluesy, floating, rhythmical sound of his voice was integrated by the musicians into a colourful, swinging sound pattern. The experience of the old hand and the spontaneity of the young musicians harmonise absolutely flawlessly.